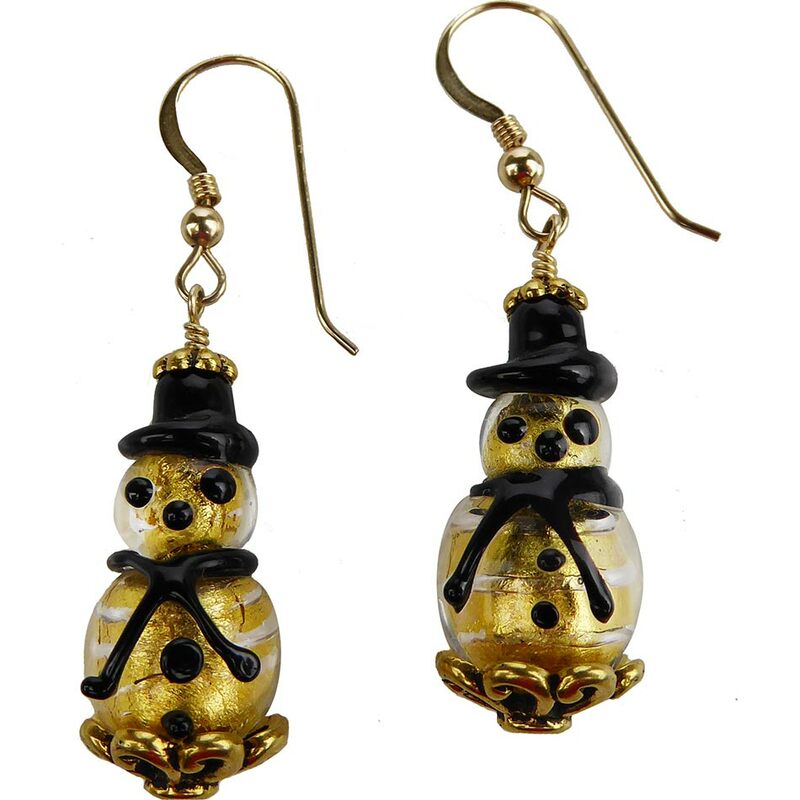 Delightful snowmen earrings, handmade Venetian glass beads featuring 24kt gold foil submerged beneath crystal glass. The earwires are Gold Fill. Size is approximately 1 inch on the snowmen. Perfect holiday gift for the woman who loves the Christmas season or winter.